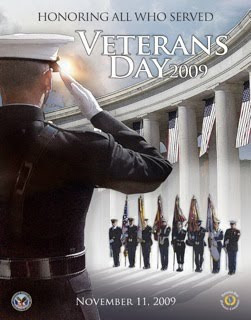 Today, November 11, 2009, is Veteran's Day. Please take a few moments to remember those brave men and women who have served this country with honor and bravery and those who continue to do so. I've provided a couple short clips to help you remember the sacrifice each of our men and women in uniform make to defend this wonderful country.